On the first day of his visit, Rahul Gandhi will hold a public meeting at Athani in Belgaum district of Karnataka at 1:00 pm. New Delhi: As part of his election campaign, Congress President Rahul Gandhi will be on a three-day visit to Karnataka starting Saturday, the party said on Friday. 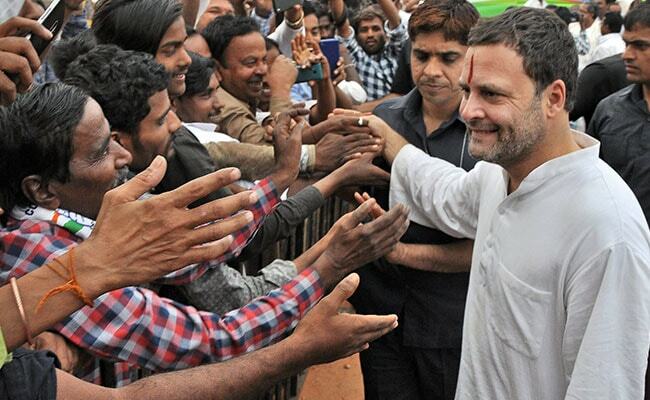 On the first day of his visit, Mr Gandhi will hold a public meeting at Athani in Belgaum district at 1:00 pm. He will attend another programme "Sthree Shakti Samavesh" (women's rally) at a public meeting ground in Tikota of Bijapur district at 3:15 pm, followed by two other programmes in the district on Saturday. During his three-day visit to the state, Mr Gandhi will also go to Bagalkot and Dharwad districts, where he will meet various groups in the state and address public meetings. Karnataka assembly elections are likely to be held in April-May 2018.